There's no place like a bookstore to fall in love with a story. I want books that I can touch and hold, that have weight in my hands and textured covers and pages that smell like reading. There is something romantic about good, old-fashioned print books and also about finding them at a bricks-and-mortar store. I love all kinds of bookstores--gigantic chain stores with escalators and cafes and abundant armchairs and cozy nooks as well as tiny shops with jingly doors and narrowly spaced, well-curated shelves. Amazon Prime Day has come and gone, and I bought absolutely nothing. Other people certainly did. My husband has had to clock in to work at 3:45 a.m. every day since the 4th to accommodate literally tons and tons of extra UPS air deliveries. I like to think that a lot of those packages contain fun beach reads. Getting books in the mail is fun. I can't say I don't enjoy it. But there's nothing like the experience of browsing a bookstore. If you aren't sure what you want, the staff have excellent recommendations. And you can flip through a book right there in the aisle--previewing any of its pages, not just a select few--before making a decision. You might go in looking for a particular book or author, or just for something to look at while you drink your latte, and end up running your fingers down a very intriguing spine and falling quickly in love with a new character you'd never met before. Meanwhile, the eavesdropping and people-watching in a bookstore are superb. And if you have children, some bookstores have ridiculously imaginative toy sections that bring literary worlds to life. Sometimes a bunch of them at the same time. And bookstores are where you can meet real authors, from big-time celebrities to local talent. 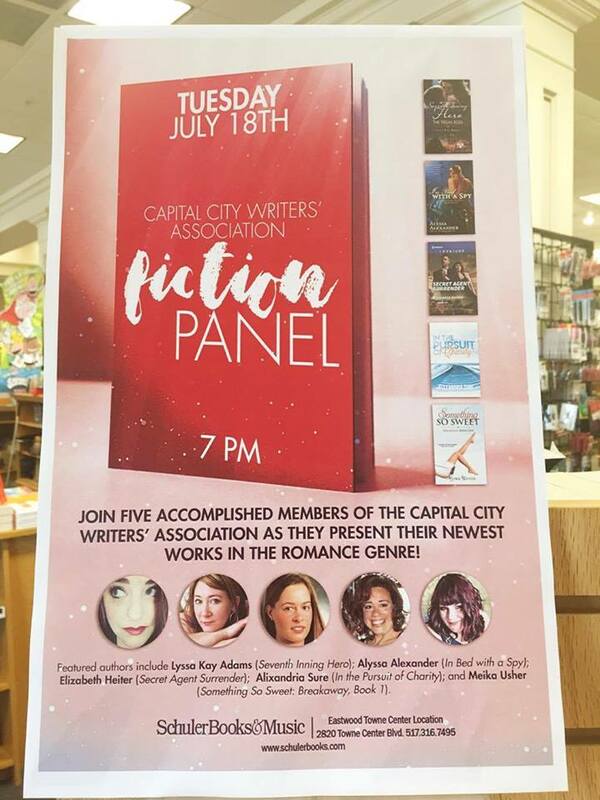 This Tuesday, I'll be assigning bedtime stories to my poor sleep-deprived husband so I can head over to one of the best independent bookstores in my area, Schuler Books and Music at Eastwood Towne Center, for a panel of five local romance authors--and I do not plan on coming home without a little Something So Sweet. Technology is a wonderful thing, and I'm not about to give up my gadgets or my Amazon credit card. But I do like to remember that there is a difference between convenience and mindless consumption, and that the pleasure of reading isn't only about the words. If you're in the Lansing area this week, come out to Schuler on Tuesday evening and join the local community of writers, readers, and booksellers to revel in the romance of bricks and mortar, paper and ink.